According to Billboard, the death toll from the the tragic fire at the Colectiv, in Bucharest, Romania, which occurred during Goodbye To Gravity’s album release show, has now increased to 60 people. As previously reported, vocalist, Andrei Galut is the only surviving member of the band. This tragedy resulted Mayor Cristian Popescu Piedone resigning, after being arrested for suspicions of corruption, since he may have helped give the club a permit to operate. The Romanian Prime Minister, Victor Ponta and his government also stepped down, after being called corrupt by protesters for having inadequate safety standards. The club owners themselves were arrested for manslaughter, due to them not following safety standards. The fire was a result of pyrotechnics, which set the foam insulation ablaze. According to Billboard, the death toll from the the tragic fire at the Colectiv, in Bucharest, Romania, which occurred during Goodbye To Gravity’s album release show, has now increased to 51 people. Among the latest deaths is the band’s bassist, Alex Pascu, who died after being transferred to a different hospital today (November 11). Vocalist, Andrei Galut is the only surviving member of the band. This news comes after Mayor Cristian Popescu Piedone recently resigned, after being arrested for suspicions of corruption, since he may have helped give the club a permit to operate. The Romanian Prime Minister, Victor Ponta and his government also stepped down, after being called corrupt by protesters for having inadequate safety standards. According to Blabbermouth, the death toll from the the tragic fire at the Colectiv, in Bucharest, Romania, which occurred during Goodbye To Gravity’s album release show, has now increased to over 40 people. Among the latest deaths is the band’s drummer, Bogdan Lavinius, who died in the hospital this morning (November 8). The Guardian also reports that there are still 107 people injured, with 48 being in critical condition. In other news, Mayor Cristian Popescu Piedone has also resigned, and has been arrested for suspicions of corruption, since he may have helped give the club a permit to operate. This news comes after Romanian Prime Minister, Victor Ponta and his government stepped down, after being called corrupt by protesters for having inadequate safety standards. According to the New York Times, Romanian Prime Minister, Victor Ponta and his government have stepped down, following the tragic fire at the Colectiv, in Bucharest, which occurred during Goodbye To Gravity’s album release show. The resignation was do to protesters who said Ponta is corrupt, and that the inadequate safety standards were a result of that. This news comes after, the club owners themselves were arrested for manslaughter, due to them not following safety standards. The fire was a result of pyrotechnics, which set the foam insulation ablaze, and the death toll has since increased to 32, with nearly 200 others injured. 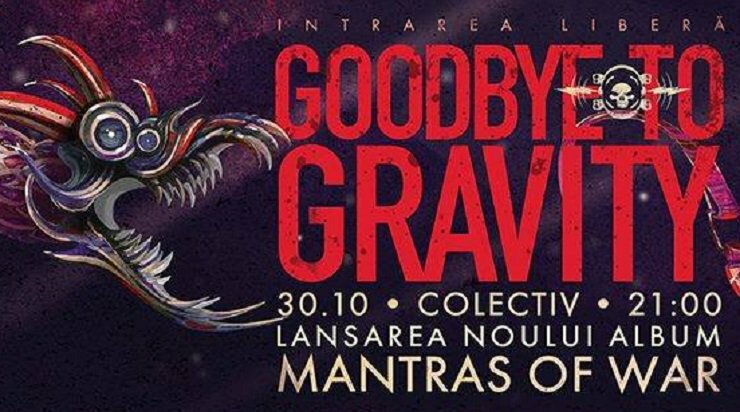 According to Reuters, the owners of the Bucharest Club, in Romania, Costin Mincu, Alin George Anastasescu and Paul Gancea, were arrested on manslaughter charges, due to the tragic fire that took place at Goodbye To Gravity’s recent show. The charges came as a result of them not following proper safety standards. The death toll from that incident has now increased to 32, with nearly 200 others injured. 3 Comments Posted in Goodbye To Gravity, News Tagged Alin George Anastasescu, Costin Mincu, deaths, Goodbye To Gravity, injuries, manslaughter charges, Metal, Paul Gancea, R.I.P. According to the Telegraph, 27 people were killed, and 180 were injured last night (October 30), at Goodbye To Gravity‘s album release show for their new effort Mantras Of War. The incident occurred in Romania, at the Collectiv in Bucharest. Apparently, the injuries were caused due to pyrotechnic issues, that resulted in a fire. The venue only had one small exit, which made it hard for fans to escape. According to ziaruldeiasi.ro, those among the dead include Goodbye To Gravity‘s guitarists Vlad Telea and Mihai Alexandru, and those among the injured include vocalist Andrei Galut, who was severely burned, and injured from inhaling smoke, and bassist Alex Pascu, who underwent surgery for an unknown injury. R.I.P. to the fallen, and hopefully the injured will have speedy recoveries. 4 Comments Posted in Goodbye To Gravity, News Tagged deaths, Goodbye To Gravity, injuries, Metal, R.I.P.